Papergreat: Plucked from a yard sale, Part 4: This and that ... and Scott Baio! This and that ... and Scott Baio! In addition to a children's educational game that I'll write about later this week, one of the first things that caught my eye at the yard sale was a torn and worn old box of camera film, with the film still inside. 1 set of "beautiful color enlargements"
2 sets of "brilliant color wallet size photos"
I remember seeing Triple Print film ads during the 60's and early 70's. For a small price they would send you a roll, but the fine print read that only they could develop it. This may have meant only Triple Print could provide prints that way or that the film was not compatible with the then current C-22 process. Since one of the sizes it was offered in was 126 it is likely ASA 64 or 80. I once read somewhere that it was processed like the Agfacolor print film (non-C-22) of that day and may even have been made by Agfa, but I have nothing to back that up. FWIW I used some of this film in 1971 or so in my Instamatic 124 and found it to have rather lackluster color. I have no idea whether this roll of film was ever used, or if the film is still viable. I could find out, but it would cost a pretty penny. Several companies offer to develop (or try to develop) old types of film. The Rocky Mountain Film Laboratory, for example, will process rolls of Triple Print for $42.50. Item #8: "Attacking Zone Defenses in Basketball"
I'll admit it. This is the one item I bought because I was looking to "flip" it as part of our online bookstore. 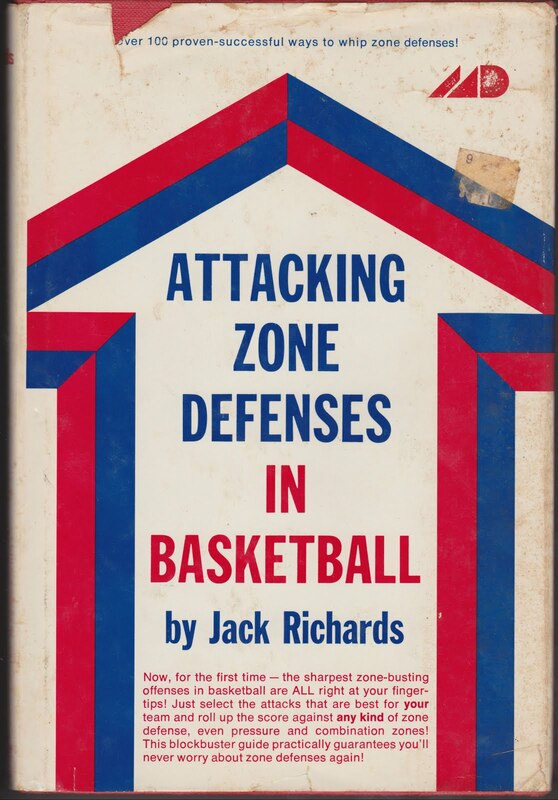 I have a fairly good eye for used books and figured that "Attacking Zone Defenses in Basketball" might be enough of a niche subject for the book to have a good market. On Amazon.com, there are three copies of this 1977 hardcover available for one penny (plus shipping). How can you make money selling books for a penny on Amazon? You can't. But some fools think that you can. If you're really interested, this Amazon.com seller forum discusses the economics of selling books for a penny. Personally, it's not usually worth my time to sell anything for less than $4. Oh well. At least I'm all set if I want to take my career in a Norman Dale direction. 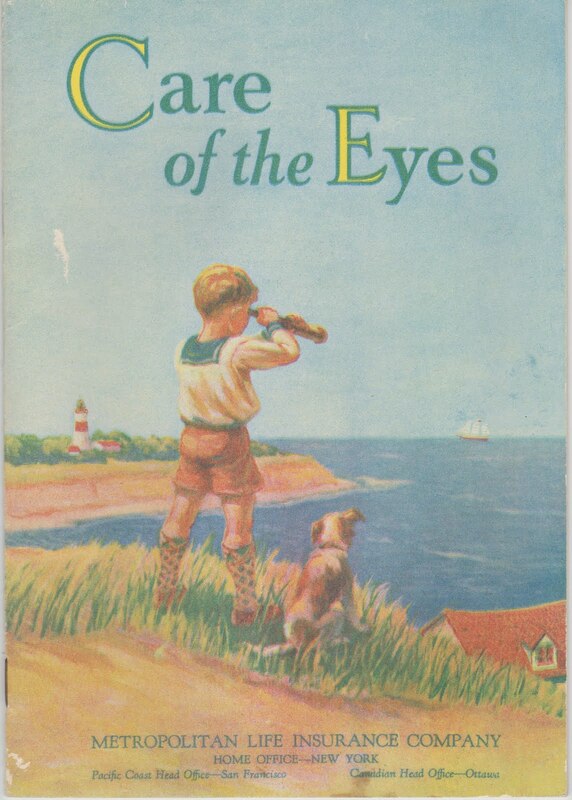 Item #9: "Care of the Eyes"
This is a 12-page pamphlet published by the Metropolitan Life Insurance Company. I can't find any definite source regarding the date of publication, but evidence points to the 1920s or 1930s. I found a nearly identical copy of this pamphlet available on the BrothertownBooks shop on Etsy.com. They claim the pamphlet is from 1920, but don't give a source. In the center of the rear cover is a line drawing in blue of the New York Metropolitan Life Insurance Building at 1 Madison Ave., which was built in 1909. It was then one of the tallest buildings in New York and was designed by architect Napoleon LeBrun. At the top of the structure in the picture are the words, "The light that never fails". In addition to the cover story on the Baio, it includes stories on Fleetwood Mac, the tiny Key Deer, the historical and fictional versions of Dracula, and street games. But the main attraction is Baio, who was already playing the popular supporting role of Chachi Arcola on "Happy Days." 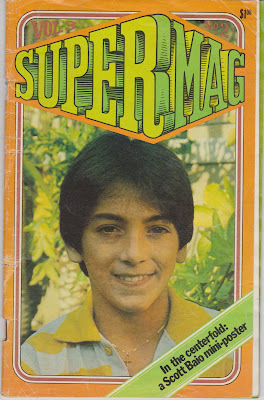 According to SuperMag, Baio was hoping for even bigger things with a new starring role in "Who's Watching the Kids." But that show (does anyone even remember it?) bowed out after just 11 episodes. 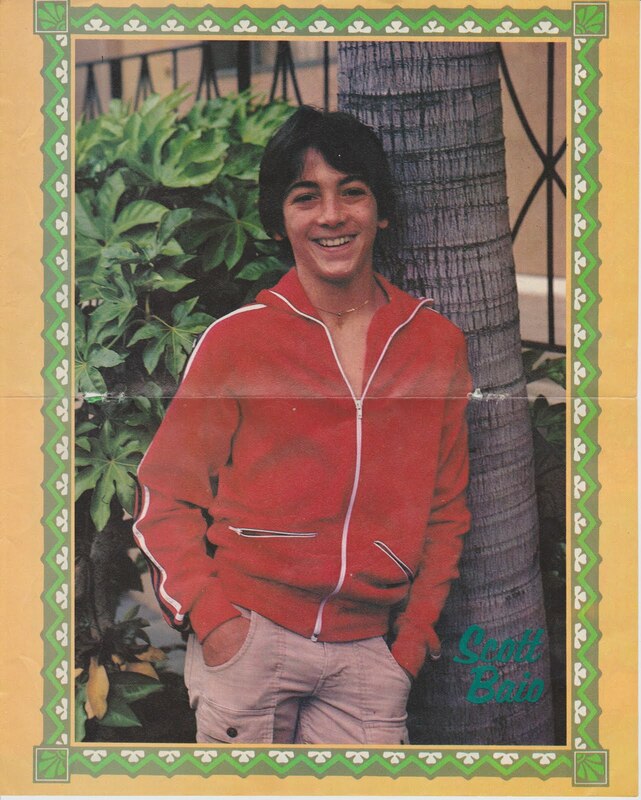 And so Baio would have to wait until "Charles in Charge" to have his greatest career success. On deck from the yard-sale haul: A photo of an elephant and a 1950s guide to school traffic safety. 1. Willie Aames not included. See store for details. 2. July 1973 was a sad month in ephemera history. In the 1973 National Archives fire, approximately 16-18 million official military personnel records were lost. 3. What cost $4.45 in 1973 would cost $21.59 in 2010, according to The Inflation Calculator. 4. Hmmm. I'm not sure we can just assume that's his house. 5. "Yes, I can believe it," many of you are saying. 6. I got a lot of issues of Dynamite through the Scholastic Book Club when I was in grade school. 7. Want the groovy Scott Baio poster? I'll send it to the first person who to e-mail me at sportseditorotto@gmail.com. This is your chance to be the coolest kid on the block this summer! You beat me to the Willie Aames reference.